HWiNFO32 is a free system information utility. 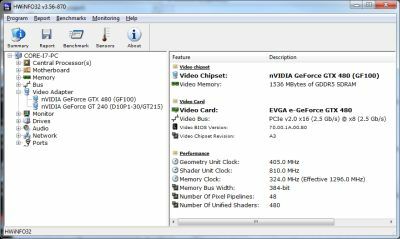 The new version 3.56 comes with improved support of NVIDIA graphics cards (IC2 support, core voltage) especially Fermi-based graphics cards. 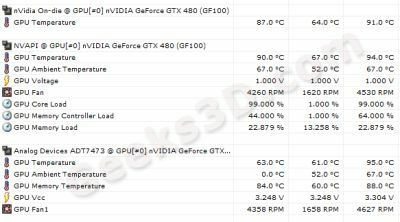 HWiNFO32 provides some interesting GPU sensors like GPU memory ones: GPU memory controller load, GPU memory load or GPU memory temperature. 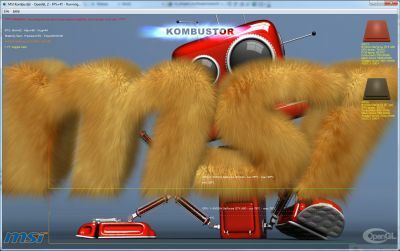 * Added monitoring of various loads for nVidia GPUs. * Several minor updates and fixes. * Added nVidia GeForce GTX 480M. * Added nVidia GeForce GTX 460 (GF104). * Enhanced support of nVidia GF100 family. * Added storing of timestamps in logfile for sensor data. * Added preliminary support for Sony VAIO EC sensor monitoring. * Enhanced support of VIA Nano 3xxx series. 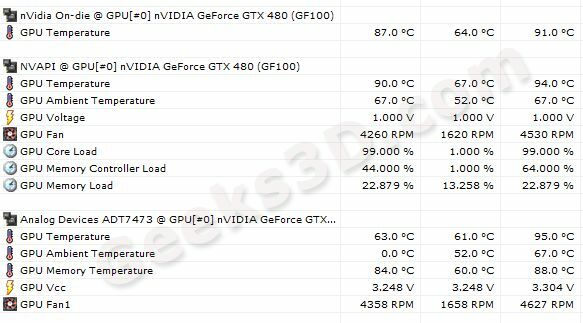 * Added monitoring of GPU core voltage for certain nVidia GPUs. * Improved I2C support for later nVidia GPUs. * Added GPU I2C support (external sensors) for nVidia GF100. * Enhanced sensor support of ASUS P7F7-E WS Supercomputer.